Cash for Junk Cars in Tampa. Towing & Payment in 24-48 Hours! 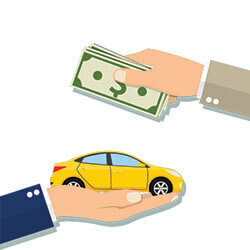 Sell your car in Tampa fast, for a fair market price! 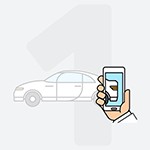 Get started to see how much your car is worth today. You know you have a junk car when you are concerned to take it on Interstate 275, I-4 or I-75 in or around Tampa. Maybe you are afraid it will stop running in traffic or you may even lose a part from a damaged car. Junk and damaged cars are a problem to sell for several reasons. You may have a damaged car that has lots of options or a premium trim level. It may have more value than others. You know it is worth more than scrap value but all you get is low ball offers. There is a better, faster, no-hassle option that gets you more money for your junk car. The solution is DamagedCars.com. We buy junk cars in Tampa and we buy cars online! DamagedCars.com allows you to sell your junk car without buying an ad in the Tampa Bay Times or other publication? There's no need to submit an online ad or take phone calls from "buyers" who never show up. Did you know, for example, we are Tampa junk car buyers who have purchased thousands of vehicles? We even pick up vehicles at your work or home at no cost to you. We buy junk cars in Tampa and usually pay cash with in 24-48 hours. Perhaps most of all, we understand the individual value of each junk or damaged car and are ready to offer a fair price for your junk car. We buy vehicles of all years and models. 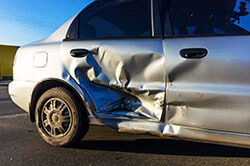 Before you sell your damaged car elsewhere, make sure you connect with DamagedCars.com. What Do I Need to Sell My Car in Tampa? All you need to sell your car is your car keys and the title. It can be helpful to have the vehicle's registration and a Florida bill of sale is also good to have. DamagedCars.com will ensure your Florida title transfer goes smoothly so you get paid fast. Of course, you will want to remove your license plate and any personal items from your vehicle before transferring ownership of your car. 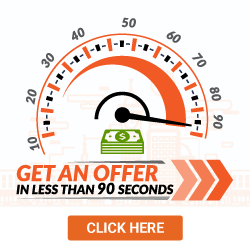 DamagedCars.com makes sure your offer is personalized to your vehicle and you can get a quote online in as little as 90 seconds! Getting started is as easy as answering a few questions with our simple, online form. When you sell your junk car in Tampa through DamagedCars.com you get a fair offer quickly and get your payment promptly. We offer free pick up and you can get started right online. You get the added benefit of freeing up driveway or yard space. It couldn't be easier! 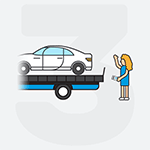 If you have been saddled with a junk or damaged car, its time to sell it through DamagedCars.com. Did you know the Tampa Bay Buccaneers unique colors were chosen from the state's four major college teams? Orange was selected from the universities of Miami and Florida and the color red from Florida State and The University of Tampa. What should you know before selling to a junkyard or private buyers in Tampa?